Viknesh Vijayenthiran February 14, 2018 Comment Now! Multiple World Rally Champion. Bertone design. Ferrari engine. All of those added up to make the original Lancia Stratos one of the seven wonders of the automotive world. 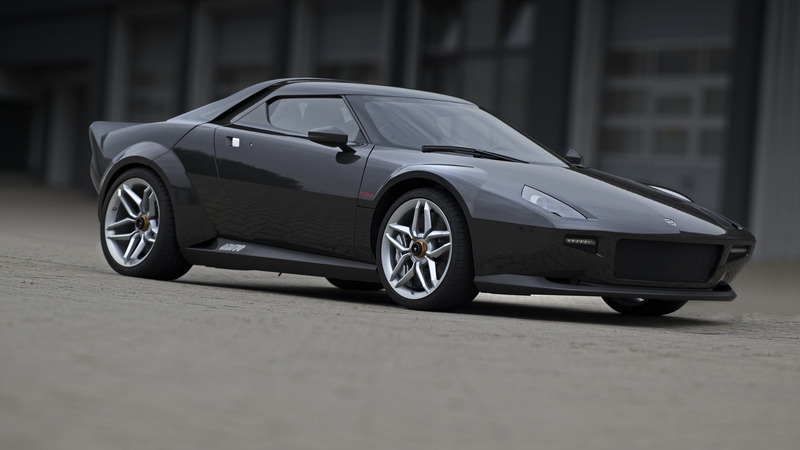 Now there's a New Stratos up for sale, only it isn't being built by Lancia. Rather, it's a coachbuilt special designed by Pininfarina and built by Italian firm Manifattura Automobili Torino (MAT) on the bones of a Ferrari 430 Scuderia. Just 25 examples of the New Stratos will be built, with the cost of the conversion starting at $617,000, MAT has confirmed to Automotive News (subscription required). We should point out that the conversion cost doesn't include the cost of the donor 430 Scuderia, which interested buyers will have to source themselves. Despite the steep price tag, plus the fact the conversion involves the destruction of a 430 Scuderia, MAT already has a dozen customers lined up. The remaining build slots will likely fill up fast following the reveal of MAT's first New Stratos conversion at next month's 2018 Geneva International Motor Show. The conversion process involves shortening the 430 Scuderia's 102-inch wheelbase by almost 8.0 inches. The stock 523-horsepower 4.3-liter V-8 remains, though for additional cost MAT can boost output to over 600 horses. Another option MAT is looking to offer is a Safari version for tearing up dirt trails. As we learned a week ago, the New Stratos was revealed in 2010 as an original commission from German billionaire Michael Stoschek. The plan at the time was to build a small run but without Ferrari's blessing many of the required suppliers failed to sign up for the project. MAT CEO and founder Paolo Garella previously worked for Pininfarina where he was involved with the New Stratos project. He decided to revive the project after gaining permission from Stoschek to use the original design.